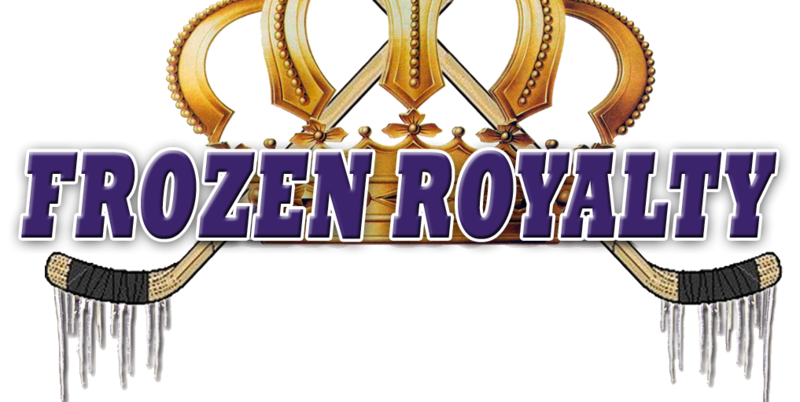 AUDIO: Story includes audio interviews with Ontario Reign head coach Jason Christie and Los Angeles Kings defenseman prospect Alex Roach. during the Kings’ 2014 training camp. ONTARIO, CA — The name, Alex Roach might not be familiar, but if he plays his cards right, and if the Los Angeles Kings guessed right back in 2011, he might be wearing a Kings jersey in a few years. Roach, a left-shot defenseman prospect, played four seasons for the Calgary Hitmen of the Western Hockey League, but was not drafted by a National Hockey League team. He was, however, invited to the Kings’ 2011 training camp, and turned enough heads to earn a three-year, entry-level contract, signed on September 26, 2011. Roach played three more seasons with the Hitmen after that, and had a five-game stint with the ECHL’s Ontario Reign (Kings ECHL affiliate) at the end of the 2013-14 season. 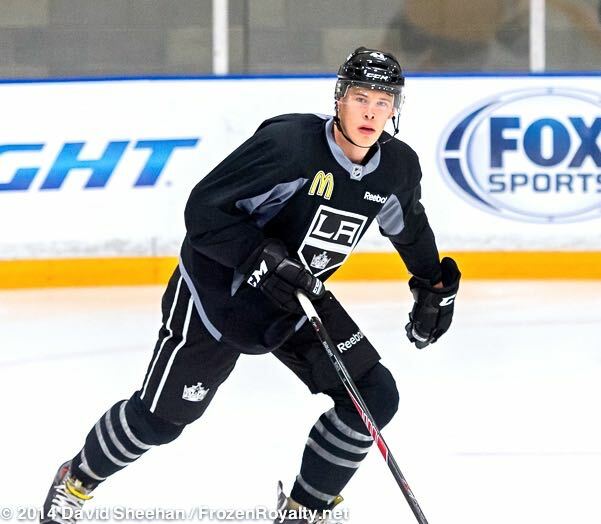 After joining the Kings for their 2014 training camp, the 21-year-old native of Quesnel, British Columbia was assigned to their primary minor league affiliate, the Manchester Monarchs of the American Hockey League, for their training camp. But with the Monarchs lineup filled with prospects who are further along in their development, there was no room for the lesser experienced Roach. As such, he was assigned to the Reign to start the 2014-15 season, where he has played in 22 games, contributing seven assists, with a +10 plus/minus rating and twenty penalty minutes. Like most young players coming out of major junior hockey in Canada, Roach was disappointed that he was not able to stay with the Kings or the Monarchs. But he did not let his disappointment distract him from the task at hand. After only 26 games in the professional ranks, Roach has much to learn. But Reign head coach Jason Christie is high on his youngest blue liner. A very positive sign for Roach is that he has earned enough trust from his head coach to play significant minutes on the penalty-kill. The Kings also pointed out some things Roach needs to work on, especially in his own end. Christie also noted some areas of the game where Roach needs to improve. Christie also added some perspective. Having graduated from Canadian major junior hockey to the pros, Roach has had a little difficulty in making the adjustment. One example was on December 12, 2014, when the Reign hosted the Utah Grizzlies. During what would end up as a 2-1 victory for the Reign, Roach, as reported earlier, has good puck moving abilities, including making the first pass to clear the defensive zone. But as also noted earlier in this story, there are times when he has had difficulties in that regard at the ECHL level, and this game was no exception—very few of his clearing passes got out of the defensive zone, giving the Grizzlies more time in the offensive zone and more scoring chances. Another adjustment has been the move from what the Kings and Monarchs were doing in their training camp and pre-season games, compared to how the Reign play. Roach has also shown his dedication towards becoming an NHL player with a lot of hard work off the ice. If Roach continues on that path, with his size, it would not be a surprise to see him shoot up the Kings’ depth chart quickly.